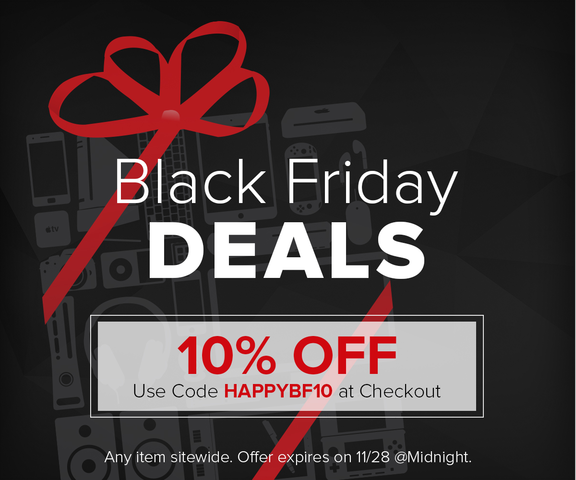 Just in case you’re not already overwhelmed with this crazy weekend of sales, you should know that everything in the iPad Insight Deals store is 10% off today – through until midnight (November 28). You can browse them all and save that extra 10% on top of the already large discounts on any of the store items – in the iPad Insight Deals section. Today’s featured deal is the 10 Ft. Apple-Certified MFi Lightning Cable – the handy charging cable that will help you keep your iPad charged even from across the room. It’s on offer for $18.99 – a full 52% off its standard $40 price tag. Few things are more annoying than having a charge cable for the iPad or another favorite mobile device not reach comfortably to where your device is. So having a 10 foot lightning cable around for those occasions where you need a little extra stretch is a very good thing. With this handy Apple MFi-certified 10-foot cable in your tech arsenal, you’ll never have to compromise your chillaxing multi-tasking again. It can easily stretch across the room to conveniently give you power wherever you decide to be. 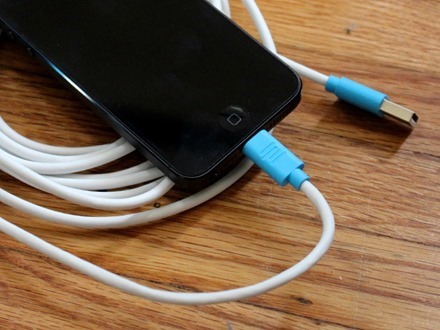 Let’s face it, the stock Lightning cable that comes with your iPhone is just too short. This 10 ft. (3M) cable is just downright more convenient, and who doesn’t appreciate that? You can see more details and place an order for the 10 Ft. Apple-Certified MFi Lightning Cable at this iPad Insight Deals page. Today’s featured iPad deal is the MIGHTY Bluetooth speaker. 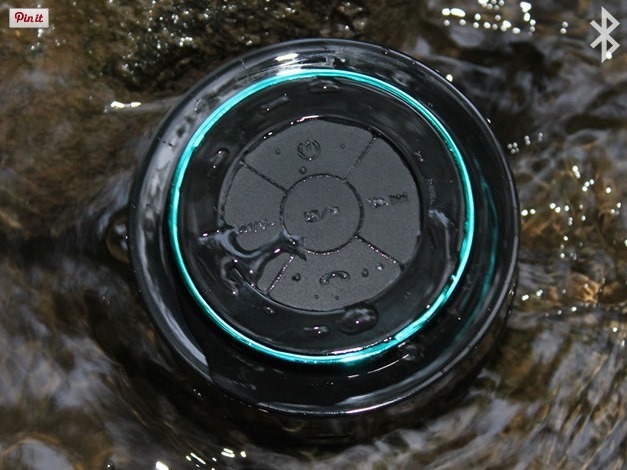 This little guy is waterproof, sand proof, and is even able to float. Pretty handy to have around when you’re camping or hitting the pool or the beach. It’s available at $35 – 56% off its standard price of $80. MIGHTY is a waterproof, sand proof and even floating bluetooth speaker. No more worrying about whether your audio device can survive the activity of choice, MIGHTY is a tough minimal speaker provides booming sound with all the functionality you desire. The crystal clear sound is not just for your music, you can also answer and make calls with the built in speakerphone. To make it even better, the removable suction cup lets you stick this durable speaker to nearly any flat surface like shower walls or kayak lids. You can see more details and place an order on this iPad Insight Deals page. There’s nothing worse than watching the remaining battery percentage fizzle away on a favorite mobile device when you’ve got work to do, or fun to have on that device. So good charging solutions are always a sight for sore eyes. Like the Limefuel Lite USB Battery Pack – a good looking and compact device that packs a big battery life punch. It features a whopping 20,000mAh Lithium-ion battery and comes with 2 USB ports so you can charge up multiple devices at once. Our Deals section has it on offer today at 58% off – at $34.99 instead of its standard $85 price tag. 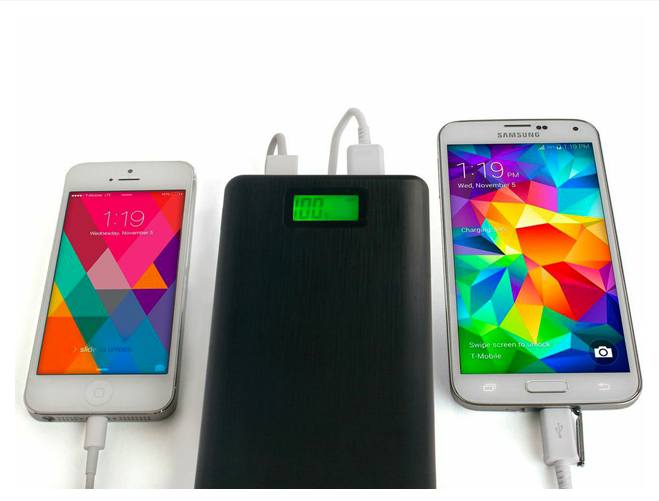 Complete with a digital display that tells you how much juice you have left, this battery pack can charge your larger devices (such as tablets) 2-4 times, and smaller devices (such as phones) even more than that. Check out more detail and place an order at this iPad Insight Deals page. It’s a happy Friday in the iPad Insight Deals section, and we’ve got a very cool giveaway contest to get the weekend rolling. 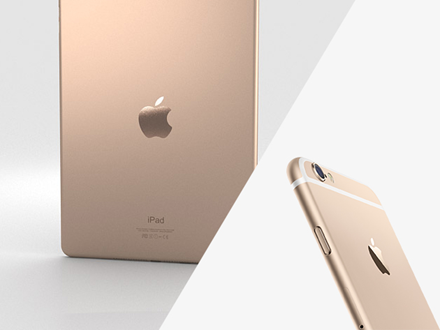 It’s the Golden Apple Giveaway – and one lucky winner will get a brand new gold iPad Air 2 and iPhone 6. Head over to this iPad Insight Deals page to see all the details and Terms & Conditions of the giveaway. On offer today as a featured iPad Insight deal is the BookMark Battery – a super slim 4.7mm backup battery solution that can provide up to 12.5 hours of additional video playback. It has a shockproof soft coating and a hefty 2,500mAh lithium battery. All Day Battery Life – With 2500 mAh capacity, the Bookmark gives your device up to 12.5 hours of additional video playback. Slim Design – 4.7mm thin with a flame-resistant housing & battery, High protection against short circuiting, Shockproof casing. Touch Activated – Just like your smartphone, all you need to do is touch the charging indicator to find out how much battery life you have left. Fits Anywhere – Our contoured glossy shockproof housing is designed to fit comfortability in your pants pocket, bag or carrying case. 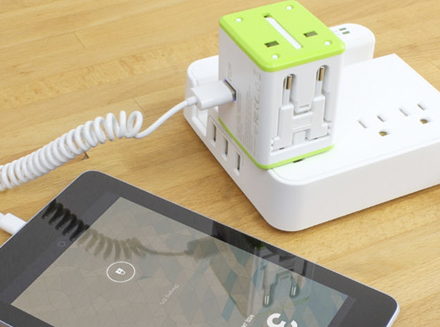 Works with all USB charging devices, including iPhone, iPad, iPod, Galaxy S4, HTC One, GoPro and more. You can see more details including a demo video, and place an order at this iPad Insight Deals page. Check out the Deals page for this contest to get yourself entered. Featured today in the iPad Insight Deals section is a versatile iPad stand that promises to be a trusty iPad companion that can be just as useful on a desk or on your lap. It works with any iPad version, and still works when an iPad Smart Cover is in use. It’s on offer in a deal that ends today at 28% off – $35.99 rather than its regular $50 price. Right out of the box, you’ll notice that the iRest looks and feels like a product made by Apple itself. It has a clean aluminum finish, and simple, yet solid, build. 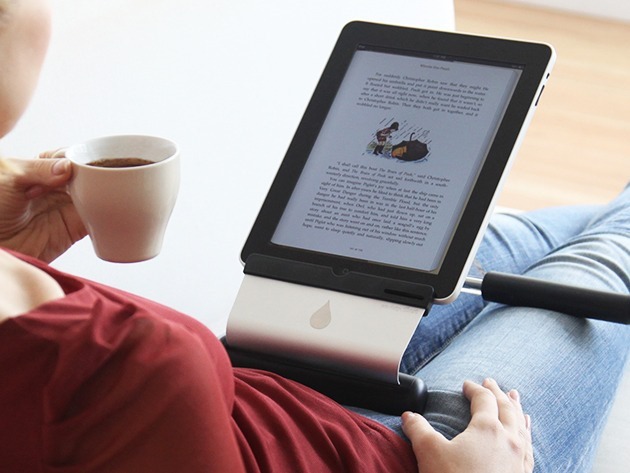 With a 60-degree adjustable reading angle, the iRest’s innovative design makes reading and watching anything on the iPad simply better. Versatile – For both lap and desk use with removable back cushions that fold flat for portability and storage. 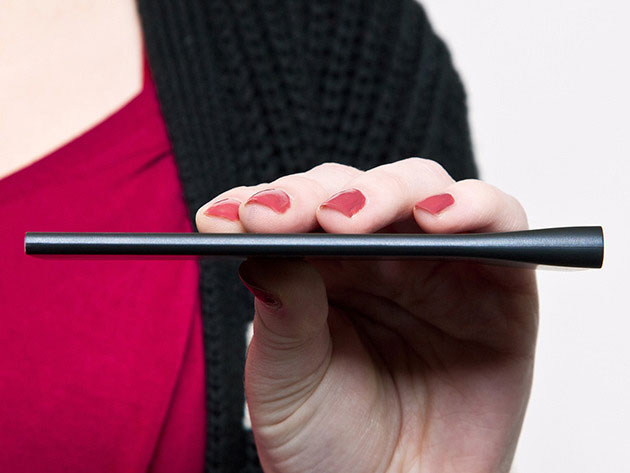 Fits iPad – Fits in both portrait or landscape orientation with or without an apple cover. Better Ergonomics – Prevent hand fatigue while holding along with holding screen higher for less neck fatigue and a 60 degree adjustable viewing angle. Refinements – Torque hinge makes for easy adjusting and soft foam pads allows for hour of comfortable resting. iPad Accessibility – Allows for easy access to iPad’s home button, dock connector and speaker. 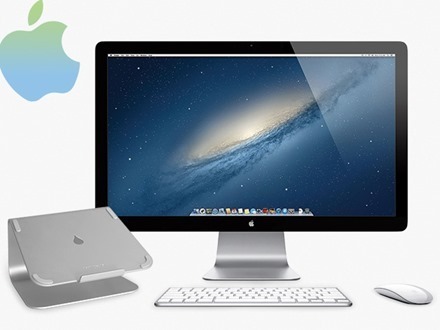 For more details and to place an order for the iRest, check out this iPad Insight Deals page. 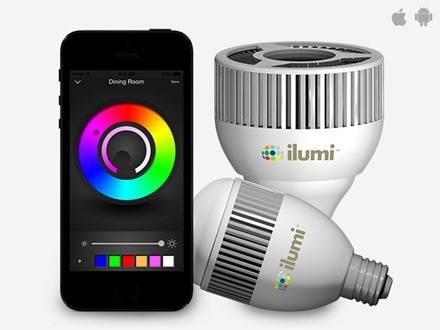 Today’s featured iPad Insight deal is for the A21 ilumi Smartbulb – a color tunable LED light that can be controlled and programmed wirelessly using a free app on iOS and Android devices. With the app you can adjust colors and brightness and also apply lighting ‘programs’ that are said to offer a whole new lighting experience. It’s on offer at $79, 12% off its regular $90 price. Check out this iPad Insight Deals page to see lots more details, reviews, a demo video, and to place an order. If you fancy learning how to be an iOS developer, then today’s featured deal might be just the sort of thing to help you get started, or to hone your skills and learn Swift. 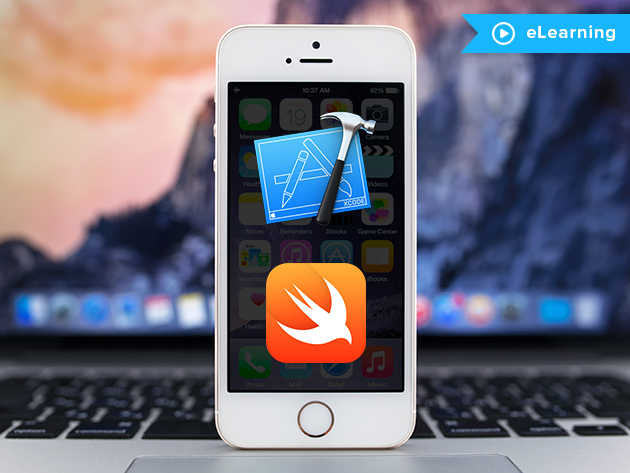 It’s the iOS 8 + Swift eLearning Bootcamp – offered at just $99, 96% off the standard price of $2,956. This is the largest iOS 8 course out there today. You get access to 24 Swift/iOS 8 courses in which you will be guided along as you learn app design fundamentals and build over 70 working apps in Xcode 6. The apps you’ll build include a Twitter/Facebook app, several children’s educational apps, lots of productivity apps and much much more. By taking the courses offered in this package, you get a ton of app creation experience. This course is 100% practical and is intended to make you a rockstar Swift developer. The lectures offer step-by-step instruction with video – no work is done off screen. Every app is built right before your eyes. You can see lots more detail and get your order in at this iPad Insight Deals page.